What a gorgeous crystalline gold nugget. It is beautifully curved and covered with sparkling gold crystals. 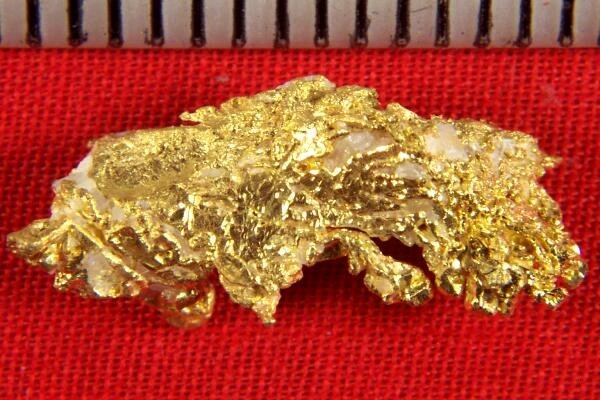 It comes from the Ace of Diamonds Mine in Liberty Washington. 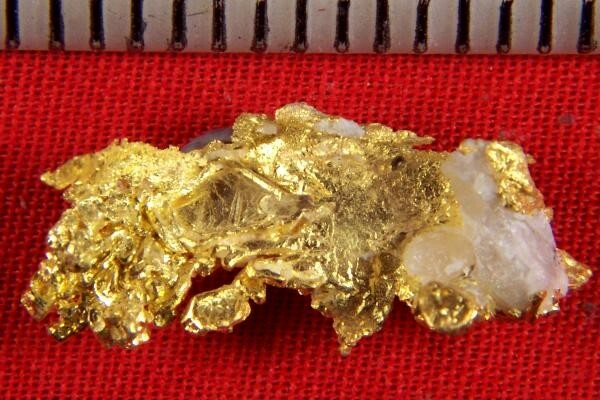 This incredible gold specimen weighs 37 Grains (2.4 Grams), and is 7/8" long. It has a very distinctive coloring and is very high purity gold.